Dimension Inx develops manufactures, and sells advanced 3D-printable, biomaterials and non-biomaterials materials (“3D-Paints”) including but not limited to organ and tissue-specific biologics, metals and alloys, ceramics, and more. Co-founder Adam Jakus will be speaking at our 3DHEALS Chicago event on March 6th, 2019. 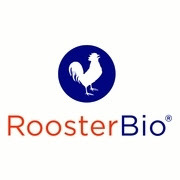 RoosterBio’s founders have years of relevant technical, operational and regulatory experience and are considered leaders in the fields of Biomanufacturing and Regenerative Medicine. Founder Jon Rowley will be speaking at 3DHEALS DC event on Feb 27th, 2019. 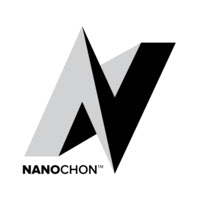 Nanochon, LLC, was founded in 2016 by Dr.s Ben Holmes Nathan Castro, Ph.D. Both studied under Dr. Grace Zhang in the Bioengineering Laboratory for Nanomedicine and Tissue Engineering at the George Washington University. Co-founder Ben Holmes will be speaking at 3DHEALS DC event. 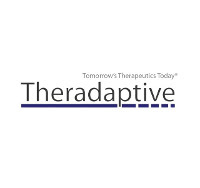 Theradaptive is developing a therapeutic delivery platform for multiple orthopedic clinical indications including spinal fusion, trauma repair, dental repair, and complex cartilage repair. Dr. Yi Arnold from Theradaptive will be presenting at 3DHEALS DC event soon. Mecuris moves orthopedic care into the digital world by bringing together 3D technologies into one intuitive solution platform. Physicians and orthopedic technicians are thus empowered to 3D-print patient-specific prostheses & orthoses without prior 3D design or 3D printing know-how. Mecuris just hosted our first 2019 3DHEALS Happy Hour in Munich last week. It is currently fundraising for Handicap International Project. Please support them. Decentralized Healthcare — Part I. Cooler than Bitcoins, But What Is It? Originally published on “Two Cents” by Jenny Chen, M.D.